Kingman Historic Theatre: Monsters University is showing this weekend at the Kingman Historic Theatre! Monsters University is showing this weekend at the Kingman Historic Theatre! 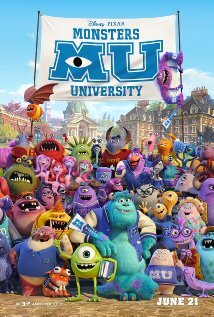 This weekend the Kingman Historic Theatre will be showing Monsters University at 7:30 P.M. on Friday, July 12 and Saturday, July 13 and at 5:00 P.M. on Sunday, July 14. This movie is rated PG and stars Billy Crystal, John Goodman, and Steve Buscemi. Check out the Monsters University trailer.